In a heavy - bottomed small saucepan, dissolve brown sugar in the red wine on medium-low heat. Stir occasionally. Reduce wine mixture by half, until syrupy. Cut figs lengthwise. Wrap each fig with a half slice of bacon and secure the bacon with toothpick pushing it through the fig. 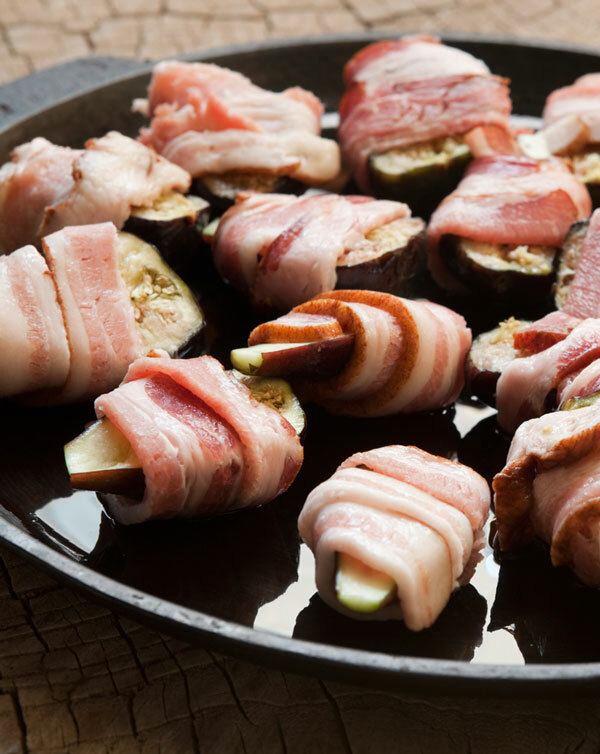 Place wrapped figs on a baking sheet. Cook 6" under broiler flame for 3 – 5 minutes on each side until bacon is browned.